Duty Free Shopping on Cruise Ships | Elite Club, Ltd. This article was written on 27 Mar 2014. Did you know? If you buy luxury cruise tour you can save a lot of money on shopping. There are the whole streets with duty free shops on huge cruise liners that offer wide assortment of products at low prices. Travelers buy not only traditional souvenirs, but electronics, watches, perfume, jewelry etc. Their large shops and many small boutiques with hand crafts. 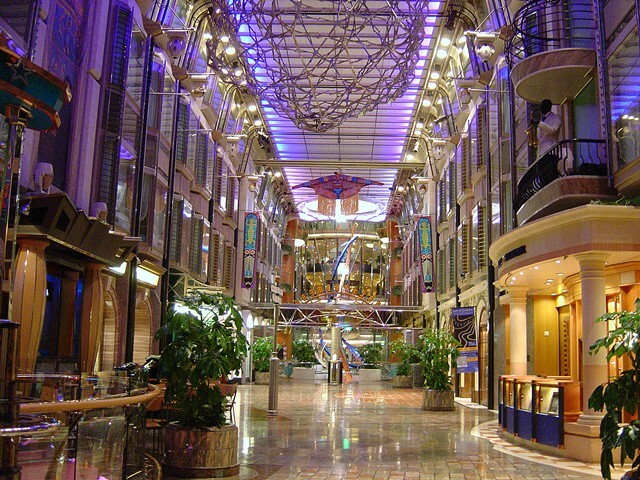 There are even the shopping malls on some cruise liners, for instance, Royal Caribbean’s Promenade. Huge oceans liners like Oasis of the Seas even have the designer boutiques in their shopping malls. The sales and promotions are frequently arranged. What do people buy on the cruise ships? First of all, the luxury liquor is popular among the customers. The discount can reach 40%, which is rather hefty economy. Crown Royal, Grey Goose, Johnny Walker and the Gold Route can be purchased there. Travelers can buy jewelry at 20-40% discount. Gold and diamond jewelry is sold at incredibly low prices. Additionally, travelers like to buy Apple products, designer watches, sunglasses and other things. One of the cruise ships that offer such possibilities is cruise ship MSC Fantasia that was launched in 2008. It has an elegant design with lots of amenities. 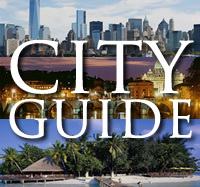 The travelers can indulge into vast array of activities including shopping. The shopping gallery on MSC Fantasia is really impressive. It is integrated with numerous lounges, bars, entertainment areas. It may even seem to the travelers that they are not on the ship but in the city environment. Cruise ship MSC Fantasia became a paradise for shoppers thanks to its duty-free zone. One can find perfect bargains there. Buying the perfume customers save considerable sums on customs tax. The selection is huge! Perfumery can offer over 600 fragrances of the most popular brands such as Bulgari, Hugo Boss, Armani, Chanel, Carolina Herrera and Dior. Competitive prices on spirits and tobacco, dedicated areas for jewelry and accessories are loved by customers. Certified 18-carat gold Jewelry decorated with diamonds, emeralds, rubies can be acquired here as well. Jewelry with semi-precious stones expands the assortment. Famous brands of watch are presented by such brands as Baume & Mercier, Bulgari, Tissot, Longines and Mont Blanc. Boutiques you can find on cruise ship MSC Fantasia sell clothes and accessories. Only high quality products of famous brands are sold at the mall. Just to name a few: Tommy Hilfinger, Polo Ralph Lauren and etc. The prices are also reasonable. There are also shops on the ship that are devoted to the things the travelers may have forgotten to pack such as toiletries and other sundries. You can also buy products for makeup by Estée Lauder Lancôme, and other manufacturers, branded sunglasses and souvenirs to remember about your vacations for many years to come. The souvenirs shops offer T-shirts, magnets and other logo items. Visit video and photo shop to capture vacation memories. Staff photographers will help you with it.